Ever since the release of Ultimaker Cura 3.0 we have been working hard to continue our innovations and get Ultimaker Cura 3.1 ready for beta testing. We're happy to share which new features and fixes we have in store for you this time! Layer view allows you to monitor a simulation of the printing strategy according to your settings in the layer view. Increased speedand faster response times (5-10%) reduce lagging when processing, selecting printers or profiles. Jogging Control your Ultimaker 2+ with on screen controls via USB. The existing Layer View has been updated in order to see all the paths within a layer. This enables easy testing of the CuraEngine features, and better visualization of the sequence of each printed layer. Jogging allows the printhead to be moved with on-screen controls. 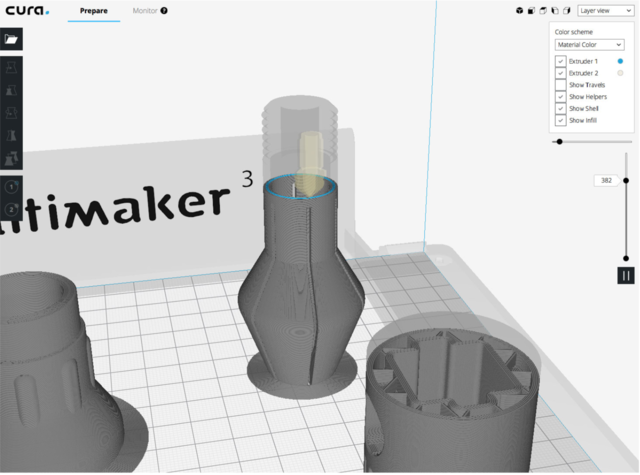 The Ultimaker Original (+), Ultimaker 2+ and other RepRap printers can now be fully controlled from Ultimaker Cura when connected through USB. Each axis can be jogged in 0.1, 1, 10 and 100 mm increments. 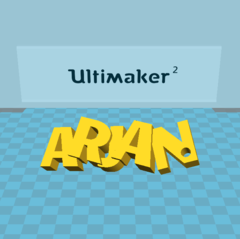 A scripts folder is now available in the Ultimaker Cura configuration folder. This folder can be loaded with post processing plugins scripts, which will automatically show in Ultimaker Cura. Relative positioning of infill patterns. 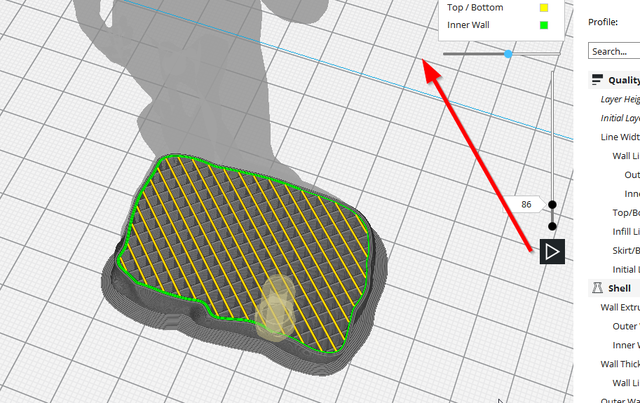 We have added bugfixes for: Layer numbers being displayed incorrectly when switching between solid and layer mode, Cura engine crashes on certain models, uninstalling previous versions of Cura on Windows platforms, and fixes for displaying visible settings. 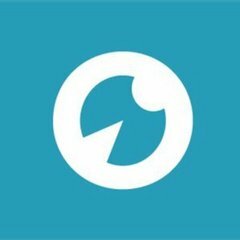 If you want to know more, check out our blog. Convinced already? Download Ultimaker Cura 3.1 Beta right here! btw. : I assume, the jogging is alsu usable at UMO's - isnt?? The Ultimaker 2+ and other RepRap printers can now be fully controlled from Ultimaker Cura when connected through USB. Also works with OctoPrint-connected printers. Jogging is just the start; I plan to contribute nozzle preheat and extrude/rectract for Cura 3.2. Yes, any printer that is connected through USB or OctoPrint. I don't have a UM3, so there's no way for me to get that to work. 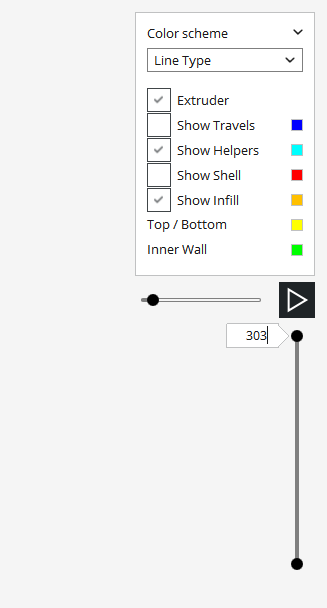 Fantastic addition to the layer view !! was one of the main things missing vs S3D imo. Small remark, I think the PLAY button should be placed next to the video slider. IMO the translucent nozzle representation may be smaller, or even just a simple line, to block less of the model. Also at first glance, probably just because I'm used the the S3D implementation I'm missing a play speed, and continues play for the whole model, but not sure if I'll really miss it..
ya figured it out, just thought it was a direct link to the betas.. I'm currently working on overhauling the whole remote printer connection. I expect that to be in the 3.2 release. It should make the whole authentication / discovery bit of the UM3 a whole lot more stable. I will also build the jogging for pre 3.0.1 firmware UM3 printers. 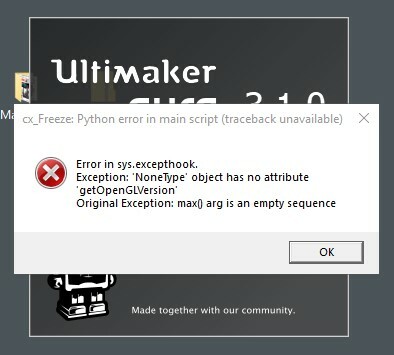 I'm getting this python error. Thanks, what type of printers do you have installed? I added 7 custom printers and the Ultimaker 3. I also have the BCN3D Cura version (1.0.3). Do you need any log file from beta 3.1? Numeric inputs for all translations would be really nice as Thomllama said, but also an orthographic view so that placement of objects is not reliant on the on-board perspective views. If I had my choice, numeric input would be tops. But I do miss the accuracy of an orthographic view. Just your basic Top, sides, not really an orthographic that is rotate-able. Thanks for the great job, it's very good. Now I get better printing results with Cura them Simplify3d. I only miss the terminal to send GCODE commands to the printer, it's very important to setup and level the printer. If it's not asking too much please add this feature to the software. Thanks and continue the great work. Found what I think is a bug, no idea if it's specific for 3.1. When using a post-processing g-code modifier, In my case "pause at height" on the UM3, it will not be applied when printing over the network directly form cura. If however you print via USB, or even if you first save the file somewhere and than print over network, the change will be applied. 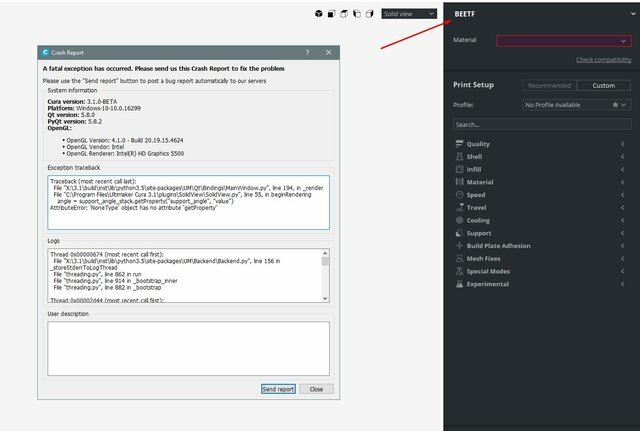 People who have custom printers and crashes, could you zip and upload your config directory? 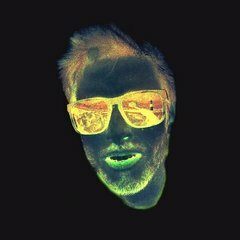 Than we can reproduce the bug and fix it for 3.1 final. Where exactly is that directory? Same place as the log-directory. it should be quality_type = normal. We now check for these things and that is why the upgrade didn't work. Only problem is that we can't see why it did work in Cura 2.7/3.0.4. 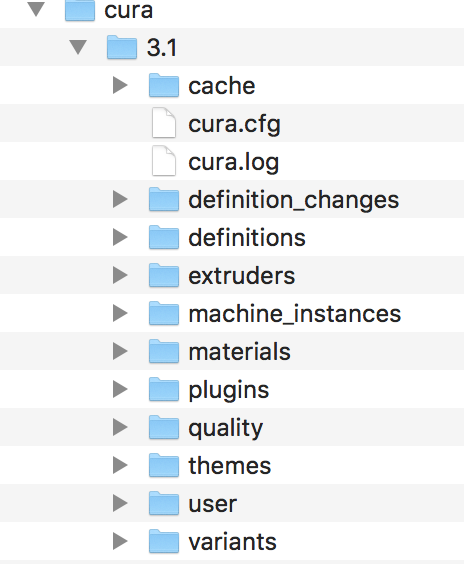 If you remove this file, do you than still see your printer/custom profiles in Cura 2.7? I already deleted the 'beethefirst_beetf_0.6_tpu.inst.cfg' file and I still having crashes in the new 3.1 beta (and I don't have the Cura 2.7). I also delete the cfg file has @draysin suggested but I can only work with the new custom printers atributed on 3.1 beta. If I try to choose an old custom printers a crash will occour, as you can see in the image bellow.